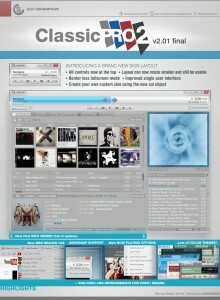 ClassicPro is a plugin for Winamp player that enables you to use use, easy to make, ClassicPro skins. The objective for this Modern Skin platform was to enable “Winamp Classic” skinners to make their own Modern skins just as easy as they made Classic skins. 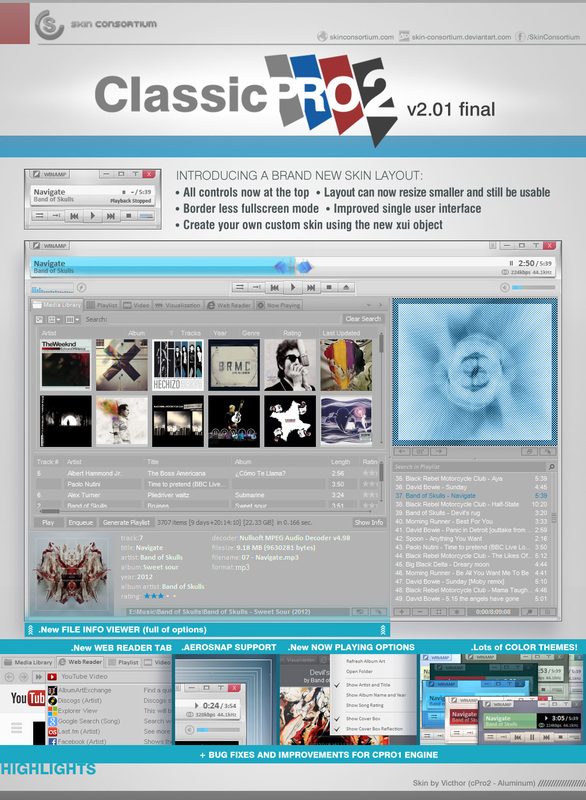 The ClassicPro layout is based on the bundles Winamp skin, Big Bento. ClassicPro make use of a singl-user-interface (SUI) to show all the Winamp components (like Video, Playlist, .. etc) Unlike some SUI skins, ClassicPro can be used with the Playlist in the main area witch should be useful for the Winamp users that don´t make use of the Media Library. ClassicPro skins can also be resized really smaller until it hides all of the Winamp components.